Auto Repair Facility That Can Fix Your Car Quickly & For A Fair Price? If the answer is “YES” then you need the help of the competent team of German auto mechanics at Keith Cox Autobahn. 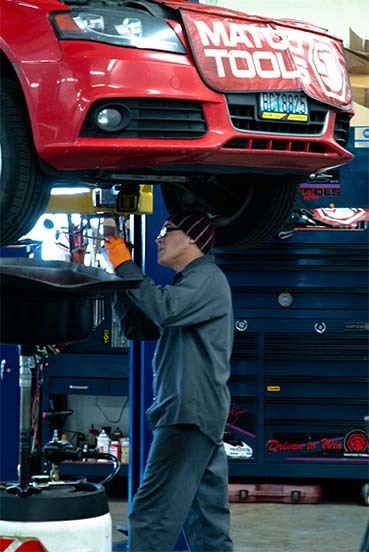 We have been serving German-made automotive owners in the Bellingham area for over 25 years. Our team of certified technicians provide specialist level maintenance services that exceed dealership standards for Audi, BMW, Mercedes, MINI, &Volkswagen vehicles. We have achieved a 98% customer satisfaction approval rating and have hundreds of happy, repeat clients. We believe our specialized vehicle repair and maintenance program will give you the best outcome in managing your repair costs and getting the most from your vehicle! Free fluid check and top-off with each visit. Call us today or bring your car in for an estimate. We have helped over 1000 clients save money and get their German import vehicle fixed properly the first time. We are absolutely confident that we can help you with your auto repair needs. Specializing in the Service & Repair of all Audi, BMW, Mercedes, MINI,& Volkswagen models. We proudly serve the entire Bellingham, WA area. Call us right now, 360-733-2721, for your service estimate.